Why I Like Bob Hope: A guest post from my ten year-old brother! My ten year-old brother was more than a little angry with me, for not posting ANYTHING on Bob Hope's birthday (Saturday). I did in fact post something to Twitter AND Tumblr, but that just wasn't good enough for him! Haha! My brother wanted to express his own adoration for Sir Robert Hope, so we made a little interview/video post. It was quickly made, so it's not the best quality, and the camera shakes at times, because I was laughing. James unexpectedly decided to use his "pretentious" voice/eyebrow raise in this video...and I can't help but laugh. Vincent Price is pretty stinkin' cool! 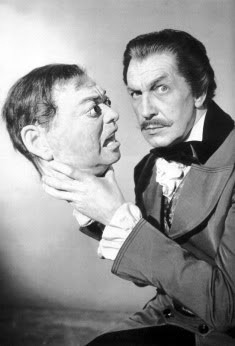 I adore Vincent Price. I have for a long time. I think he was completely brilliant; and his voice is one of my top ten favorites....EVER! If the name Vincent Price is on it-- I WILL watch it. I've seen him in everything from Dragonwyck (Favorite. Vincent. Role. Ever.) to The Brady Bunch (no comment). And he is always amazing. The reason he is still pretty stinkin' cool (and the reason for this post) is because my 14 year-old brother will actually watch Vincent Price films. THAT'S MIRACULOUS! Zach is the most uncooperative person ever, film-wise. His favorite movie is Spider-Man, so, um, yeah. I'm always trying to get him to watch old movies with me and he literally refuses. I've had to become sneaky and make them sound "cooler" than they really are (well to him). Mwahaha! I once got him to watch Laura by telling him it was a murder mystery/ghost story (well, Dana DOES think Gene is perhaps a ghost for a split-second ;-D). I MEAN, HE FALLS ASLEEP WATCHING HITCHCOCK FILMS. He is a literally a mutant, and it is difficult to understand what relation he has to me. Anyway, lately he'll watch old movies with me...if they are horror movies. It all started a few months ago with Dead of Night. 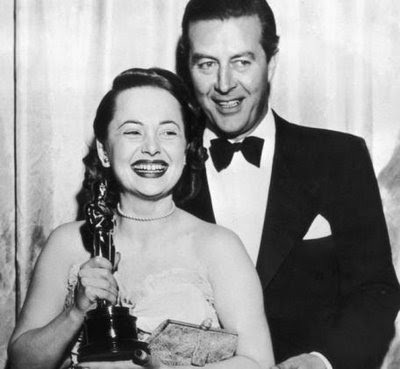 I have no idea HOW I convinced him to watch a B/W film from the forties, but I did. And he LOVED it! More recently we watched The Uninvited (thanks KATE!). And he was actually SCARED! (Not as scared as I, who begged him to sleep in the family room on one of the couches, so I wouldn't be alone that night. He didn't listen. ;-D) Then we watched The Unseen (again, Thanks Kate!). He was slightly disappointed that it wasn't a "real" ghost story, but he still said it was pretty good. That's craziness. Maybe he's beginning to develop an appreciation for classics! ;-D We watched Psycho for his birthday and he loved that. 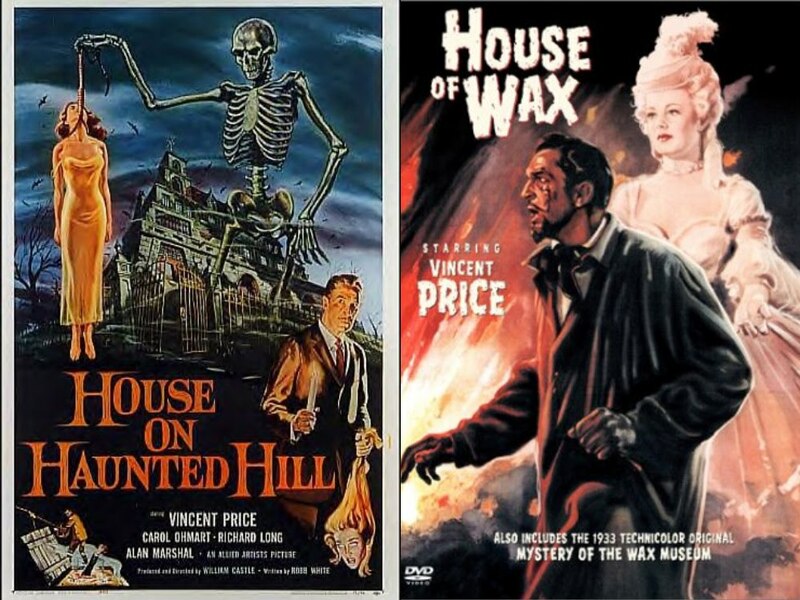 And just this weekend we watched a couple of Vincent Price's (finally to the point of this post!). 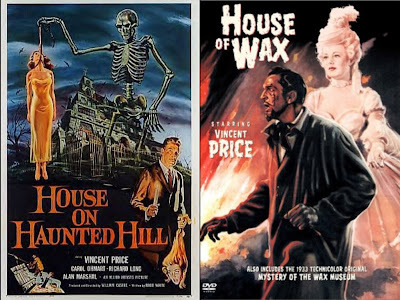 House on Haunted Hill and House of Wax. After House on Haunted Hill, I wanted to watch House of Wax. I told my brother the basic plot and he responded by exclaiming the apparent dorkiness and boringness of it. I told him the star was Vincent-- AND HE IMMEDIATELY WANTED TO WATCH IT. I have NO idea what this is from, but it looks like he's holding Peter Lorre's head. Whatever this is, it looks kinda awesome! The Searchers: A First-time Viewing. Or: Barney Scares the Heck Out of ME! I finally understand why everyone thinks this is one of the greatest movies ever! 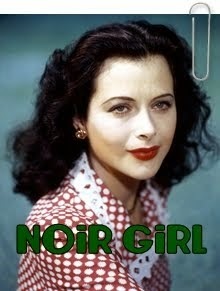 Now, personally, I'm not one to exactly embrace those "greatest, most brilliant, God's gift to humankind" type of films. In fact, they usually annoy me to slow death. I actually go OUT OF MY WAY to dislike them. My mum claims I have some complex against popular things, which COMPELS me to always love whatever is less loved. I have NO idea WHAT she talking about! I, mean, it's clearly been proven by now that The Monkees were brilliance-personified-- unlike that "other" British band. SHEESH! Anyway, today, my dad and youngest brother (ten) were the only ones home, so in the late afternoon we sat down to watch The Searchers. My dad got it for his birthday last week, but neither of us had seen it before. It oddly reminded me of the first time I saw Red River. I was seven or eight, and I watched it with my dad (who had just received the brand-new VHS for Father's Day) and oldest brother (then twelve or thirteen). I mean, I actually used to have recurring nightmares when I was six. It would always be late at night, and Barney (as in the frightening, more than likely demonic, purple dinosaur) would come into my bedroom and try to kidnap me. But then the door would burst open and in would come The Lone Ranger or Roy Rogers or one of the Cartwrights to rescue me and knock-out Barney. I have a great love for westerns. Okay, this is getting WAAAY off-track! 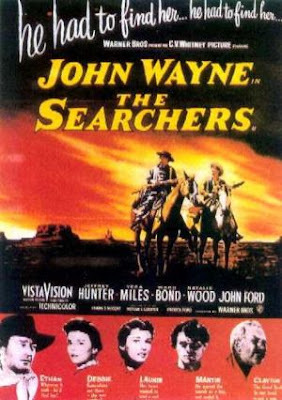 Anyway (I REALLY need to look up a synonym for "anyway"), I watched The Searchers with my dad and youngest brother. What an amazing film. It was a definite "experience" movie (I think I stole that line from Kate or Sarah or possibly someone else! ;-D). I was completely wrapped up in it. The cinematography was actually worthy of the term "breath-taking". I've never been a HUGE fan of John Ford (sacrilege, I know! ), but this film completely made me understand his talent. He HAD to be talented to make Jeffrey Hunter look like a halfway-competent actor (I am seriously way too mean)! And this is rather random, but - as long as I'm being mean - was Lana Wood annoying in EVERYTHING SHE EVER APPEARED IN?! Anyway (still too lazy to google a synonym), I really enjoyed watching it with my dad, even though he did get annoyed at my random observations: "Don't worry, Debbie's not dead. 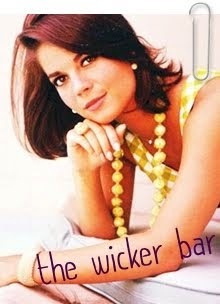 She hasn't turned into Natalie Wood yet"; "Aww, it's redemption!" (at the ending! ;-D) And, I think the both of us spent FAR too much time trying to decide which character was John Wayne's real-life son (for most of the film, I was counting on his early-demised nephew being Pat Wayne-- until the bumbling lieutenant showed up! The physical resemblance was too much!). In conclusion, (I totally just heard Ted Baxter say, "Somehow you don't laugh at a man, when he says 'In conclusion' ".) this was movie was REALLY BRILLIANT. This is different from the brilliant I call every other movie I remotely like. This is true brilliance. And, it's definitely a movie I won't forget! So, any Searchers fans out there?! What is your favorite thing about the movie? Labels: John Wayne, Natalie Wood, Vera Miles, westerns, WOWZIE KAZAM ARE YOU SERIOUS???? Just finished watching "Doctor, You've Got to Be Kidding!" Raquelle had recommended this film to me before, but I had never got the chance to see it. 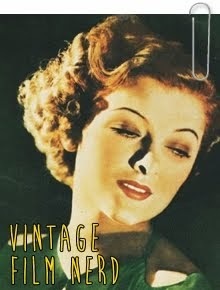 She also informed me it was airing on TCM in late April and the dahling Kate sent me a copy of it! Sandra Dee was so utterly perfect! I really don't understand why so many people don't think she was talented. She is completely hilarious. And George Hamilton, well, he was being, um, George Hamilton. Arrogant, annoying, AND completely insufferable. But, since that was exactly what his character was supposed to be, it sorta worked. Haha! And there was Celeste Holm being perfectly wonderful. I seriously don't think she ever ages. EVER. Anyway, it's pretty hard NOT to like Dwayne and he plays the clueless dork perfectly as usual. And there's Bill Bixby. My ten year-old brother's idol. For him, it's: Bob Hope, Frank Sinatra, Bobby Darin, Dean Martin, and Bill Bixby. My brother can tell you where and when he was born, how many wives he had-- and when and where they were born-- and random other extremely creepy facts at the blink of an eye. Anyway, this movie was just amazing. at around 95min it was WAAAY too short! It was one of those movie you don't want to end! I think my favorite scene is when Sandra Dee gets home very late from rehearsal and Dwayne has been waiting to talk to her on her porch all night, and just as she's coming up the steps he comes out of the shadows (and Sandy doesn't realize who he is at first) and she starts screaming for Bill (her next-door neighbor) he comes running out and tackles Dwayne and starts karate chopping him. And Sandy's mother, Celeste comes running out of her house with a plunger and starts hitting Dwayne AND Bill on the heads and everyone is screaming. And I just started laughing hysterically. It's just small parts like this (which doesn't sound at all funny, after I tried to explain it! ;-D) that make the film so hilarious. I mean even the "serious" parts are hysterical. Later in the film Sandy and Celeste are having a serious-- a VERY SERIOUS-- discussion and in the background you can faintly hear and see Dwayne, Bill, and the other guy fighting in the back yard, Bill still karate chopping poor, clueless Dwayne. Anyway, I would definitely recommend this movie to anyone, it was really, literally, brilliant! Thanks for the recommend, Raquelle and the copy, Kate! KATE-GABRIELLE IS A LIAR AND A CHEAT. You should ALL unfollow her. Like. RIGHT NOW. And P.S. 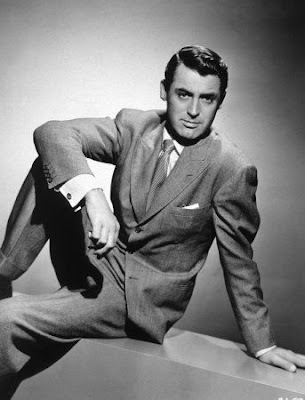 although, I completely and utterly ADORE 50's/60's Cary-- 40's Cary is clearly slightly more awesome because he gets to play so many charming jerks. 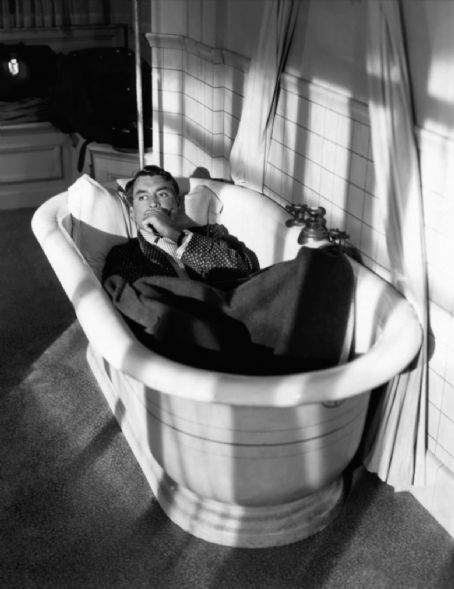 And Cary RULES at playing charming jerks. P.P.S This is all a joke. Just in case you didn't pick up on that fact. Really, Kate and I's entire friendship is based on battles over a variety of vintage issues. Kate is ALWAYS in the wrong. Well, I'm FINALLY writing that post I promised positively centuries ago! Sheesh! 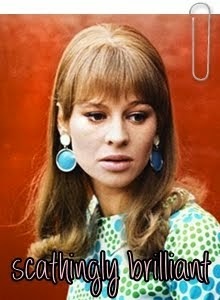 Anyway, for those of you hoping for a post on Audrey or Sabrina...I pulled a cruel trick on you! 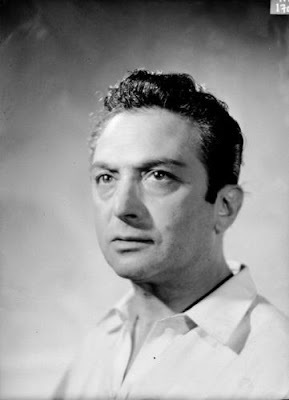 ;-D The post is going to be about Marcel Dalio. 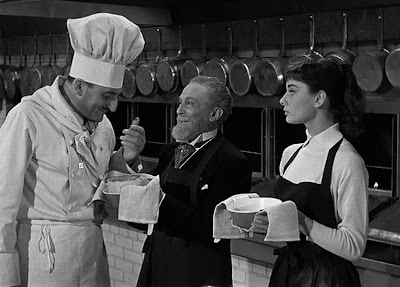 The little old French-man who made a perfect souffle, when Audrey forgot to even turn the oven on! Haha! When I used to be on the TCM Message Boards (From early '08-early '09) there was always a joke about Thomas Mitchell being the actor everyone could recognize, but hardly anyone could name. It was brought up so often that it was almost a catchphrase. "Well, he's very Thomas Mitchellian"; "It was such a Thomas Mitchell moment". (Well, actually, *I* was the only one using his name as a catch-phrase, but everyone else was CLOSE to doing that! ;-D). ANWAY, all this brings me to the fact, that Marcel Dalio is the French Thomas Mitchell. 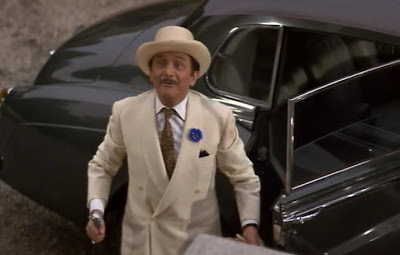 The man was in every stinkin' movie ever made. SERIOUSLY. Yet, I doubt more than a few can recall his name to his face. My favorite Marcel film is Pillow Talk; it's one of his larger supporting roles in an American film. 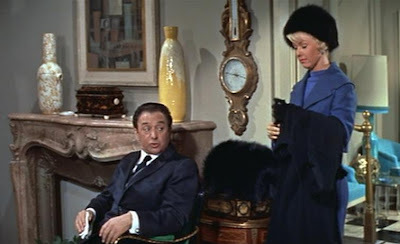 He plays Doris Day's interior designer boss. When I first saw Pillow Talk a few years ago, I loved it so much that I watched it continually for about six months. 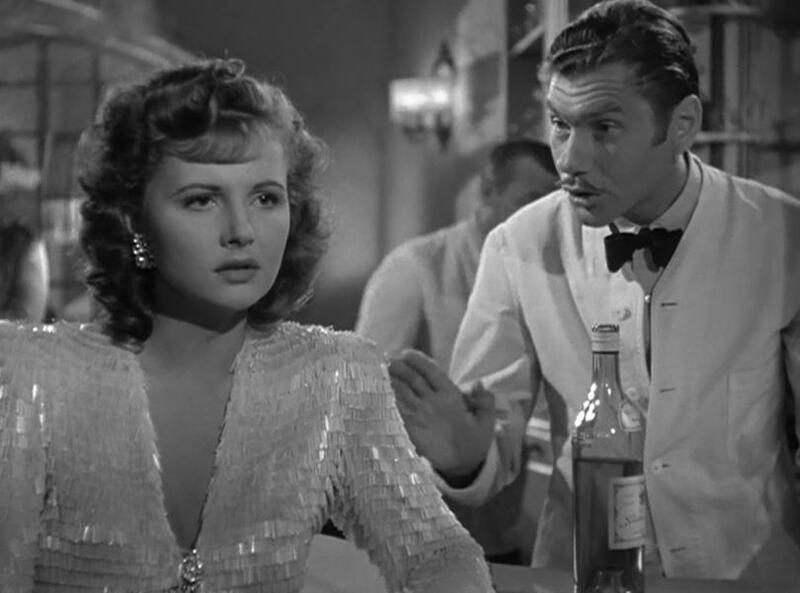 Marcel's "That woman has the taste of a water buffalo" is permanently ingrained in my memory. This is also the film where I started my "Marcel Sightings". It's really crazy just how many movies I have seen that also contain Marcel Dalio. Sometimes it's just a blink and you'll miss him bit part, and other times it a more substantial supporting part, but he's ALWAYS amazing! I took a few screen-shots from the movies I personally own that Marcel happened along in! And of course there are a zillion others as well. You can see them all here. 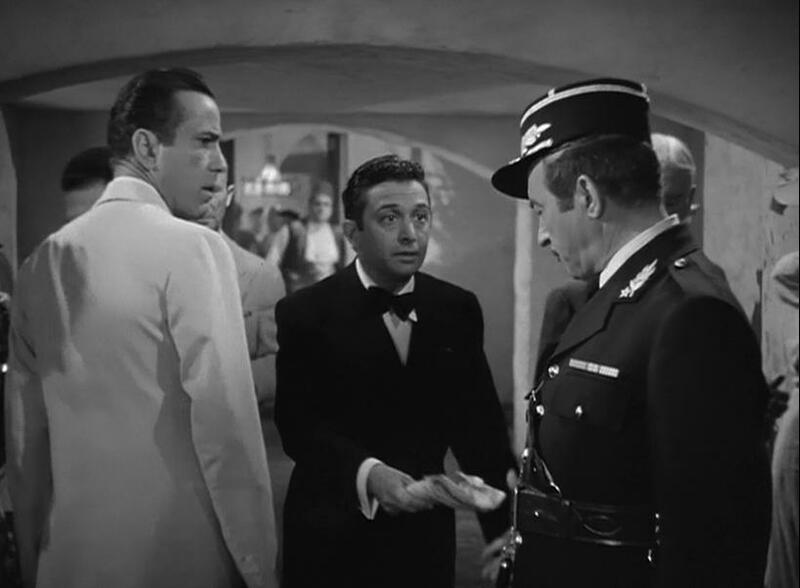 So many "famous" bit-character actors were famous for portraying one type of character in many films. That was a reason why they were in so many films, because they played the same character each time in a different setting. Not so, with Marcel! I think the most fascinating thing about Marcel, is that he was in so many different types of films. Even as a bit-character player...he was NEVER TYPE-CAST! 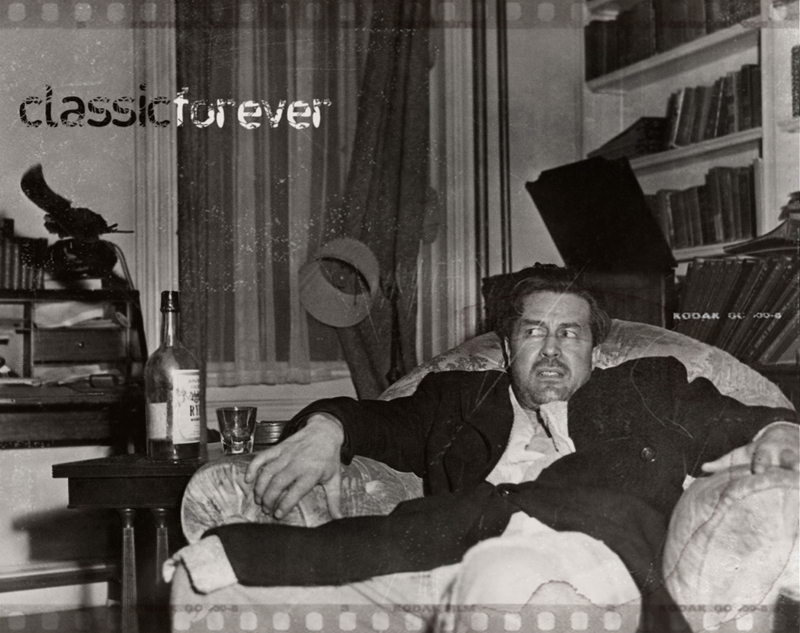 And in each one he was distinctively Marcel-- and distinctively interesting and original. He was also "in the business" for quite a while. He appeared in his first film in 1931 and his last in 1982, stopping only shortly to escape from Hitler. I guess this is actually a rather dull and uneventful post, but I just REALLY felt the need to post of my love for THE Cool Marcel. And, I wanted to try and see if there were any other Marcelites out there!? And I PROMISE MORE POSTS COMING CRAZY-CRAZY-CRAZY-CRAZY-SOON! All those series I never post new installments for...will be getting a new installment. And also start getting excited to find out a new favorite actor of mine! It's gonna be a shocker (not really)! Just guess who happened to be Mrs. Dalio! Can you guess what/who my post is going to be about tomorrow?! Sorry that I've been totally gone this past week or so! First I was crazy sick, and then I had to take the COMPASS test (I'm going to a community college for my junior and senior year of high school). Anyway, I was so excited about all the submissions for Kate and I's survey and I'm going to comment on ALL of them tomorrow! Thanks so much!